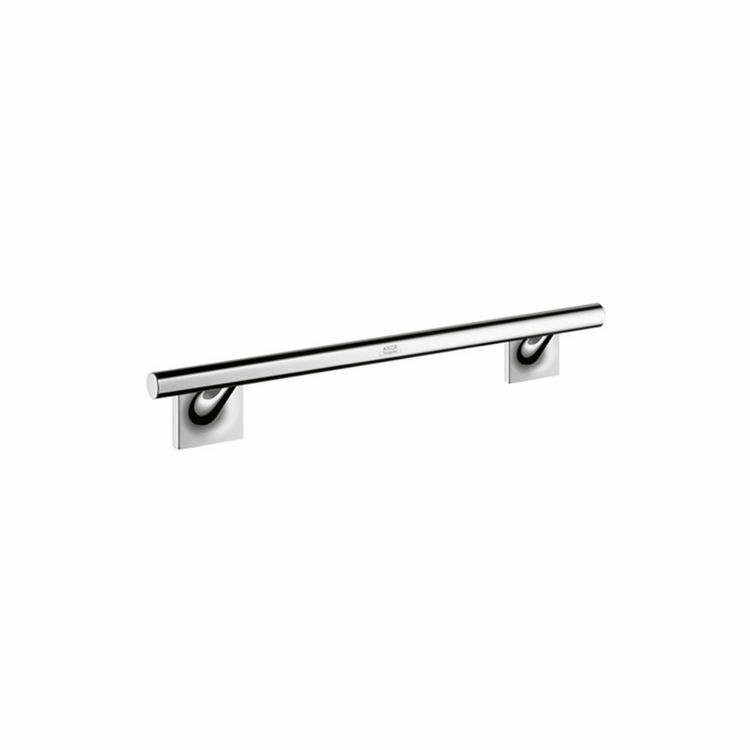 The Axor Starck 42730000 Organic Towel Bar, 12 has the ultimate design if you are looking for a bathroom accessory that offers an air of tranquility and simplicity. Its chrome finish is guaranteed not to corrode or tarnish. This product blends well with other bathroom features and will never go out of fashion. This Axor Towel Bar offers 11 of space to hang your towels. Mounting screws are provided for a sturdy and permanent installation. This accessory assures a lifetime of use and will continuously provide that air of peaceful elegance through time. More details are available in the specification sheets. The Starck Towel Bar has met the required environmental standards. Axor Starck is a bathroom collection skillfully designed to offer serenity and relaxation. Axor has been behind the beautifully designed quality showers, faucets, and other bathroom fixtures since 1901. Shipping Dimensions 20.7" x 4.1" x 3.5"